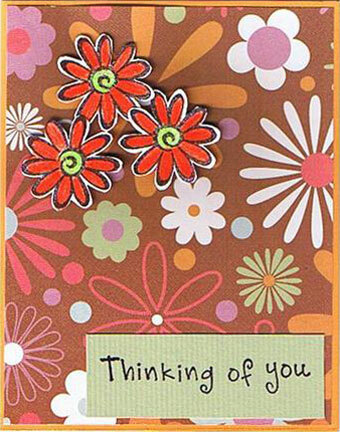 Here are some Thinking of You Cards by Valerie Smith. 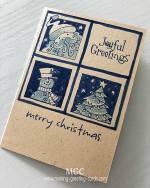 Valerie is from Canada and has been making her own greeting cards for family members and friends for many years. 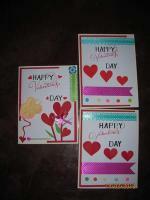 Three daisies handstamped, cut out and attached to pattern paper with double sided tape for a 3D look. 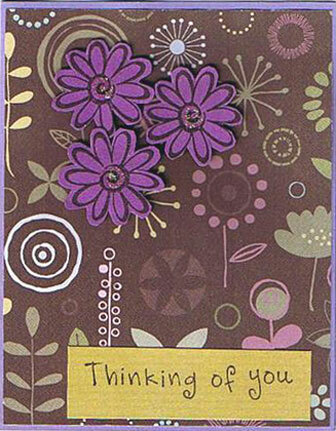 Rubber stamp message : "Thinking of You" finished off this beautiful card. 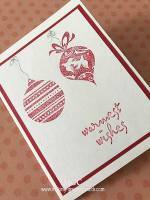 To view more handmade cards by Valerie Smith, just scroll to the bottom of page and click on the relevant links. 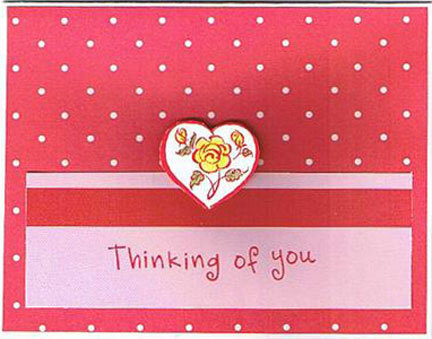 White polka dots against red background, cut out heart attached to card front with double-sided tape for a 3D look, red ribbon and rubber stamped message "Thinking of You" make this a beautiful handmade card suitable for any lady friend or family member. 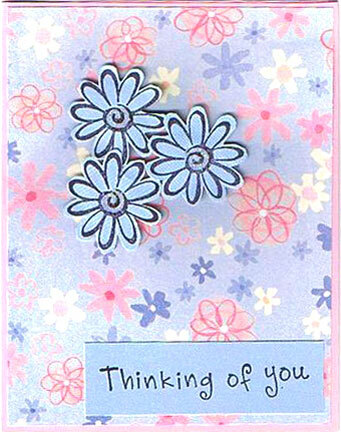 Another version of the 3 daisies card above. 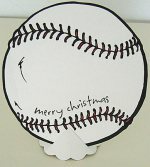 And here's another version of the 3 daisies card above. Notice the glittered centres of the flowers.